For many home based businesses that do not require a full time office outside of the home, but they do need a professional look by having a prestigious business address. Without the need for a full time office space Toronto, many of these businesses look for a virtual office Toronto on a budget. The days of using a post office box as a business address are long over, because business savvy customers are weary of doing business with a company that works out of a post office box. Price – What will it cost you to use this prestigious business address? Location – Is the virtual office Toronto location easy for you to get to if you have to have a meeting? Meeting rooms – Does the virtual office Toronto on a budget offer meeting rooms and boardrooms a-la-cart? Personalized phone answering – When your client or customer calls your phone number, does the receptionist answer and handle your call the way you wish her to? Access to other business centres when you travel – Are you able to use the facilities of another affiliated business centre when you are traveling and working in another city? Price – A number of providers of virtual office Toronto on a budget claim to have low rates, but they fail to tell potential clients of all the hidden costs and extra fees. Before accepting the price and choosing a virtual office location based solely on price, be sure to ask about any hidden extra costs or fees. A good virtual office Toronto solution provider will let you know all of the potential extra costs up front or will include them in the quoted price. Location – While you will not be traveling to your virtual office Toronto on a budget very often, you will sometimes want to be able to pick up your mail and courier packages that are urgent. Some virtual office locations will only re-mail your deliveries or are not easy to access when driving. Chose a Toronto virtual office provider that has a prestigious address and is easy to access. 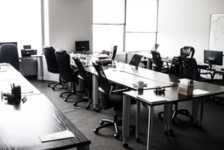 Meeting Rooms – Most office business centres that offer virtual office Toronto on a budget have meeting rooms and boardrooms, but many reserve those meeting spaces for only office space tenants. Other business centres that offer office space Toronto and virtual office services will allow virtual office clients to use the meeting rooms and Toronto boardrooms on an a-la-cart basis for a lower rate than non virtual office clients. Personalized phone answering – Having someone answer your calls with your business name is one thing, but having your phones answered in a personalized manor with your company greetings is more impressive to your clients. It makes your clients believe that the person answering your calls is on your staff and not a generic call centre. Sometimes you want to have your calls re-directed to your home office or your cell phone; other times you may want the receptionist to say you are in a meeting and send the call to your voicemail. The sign of a good provider of virtual office Toronto on a budget is that you can change how you want your calls handled any time during business hours. Access to other business centres when you travel – Business travel can be an important routine for you, but meeting a client in a hotel room is not always the best way to present your business. A few office space Toronto locations that offer virtual office Toronto on a budget offer you a place to touch down in other cities. Only one office space Toronto offers you a place to hold meetings in over 650 locations world wide in independently owned business centres that are part of the Alliance Network. Telsec is affiliated with the Alliance Network and is able to offer its office space Toronto and virtual office Toronto clients access to Office Business Centers around the globe. The Monday after the Super Bowl: what is it like at the office?